Mexico has many volcanoes and most are situated within what is known as the Trans-Mexican Volcanic Belt. This belt runs from Michoacan and Jalisco, past Mexico City and down towards central Veracruz. 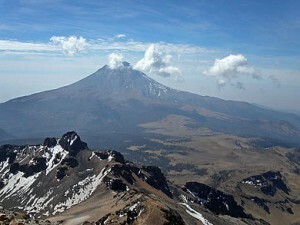 This is the highest peak within Mexico, as well as the third highest within North America. It stands at 18491 feet high. 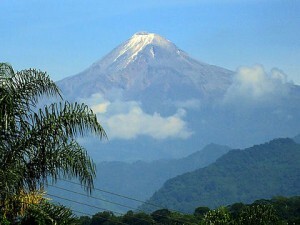 The volcano is dormant and can be found on the border of Puebla and the State of Veracruz. This dormant volcano is the fourth highest peak in Mexico and overlooks the city of Toluca, situated in the State of Mexico. It stands 15390 feet high and the last time lava flowed from it was about 10500 years ago. There are a number of archaeological sites around this volcano and it is said that one of the craters was used as a meeting place for priests to make their predictions regarding growing cycles. Popocatépetl means ‘Smoking Mountain’ in Nahuatl. This is an active volcano which erupted during 2013. It is the second highest Mexican peak, and stands at 17802 feet. The locals affectionately refer to it as ‘Don Goyo’ or ‘El Popo’, which is a reference to San Gregorio. Some of the 16th century monasteries that were constructed on the slopes of this mountain have been declared World Heritage Sites by UNESCO. This volcano is located in the State of Michoacán. The volcano is one of the youngest globally and came to life as a fissure in a cornfield, with an eruption of stone and ash, on February 20, 1943. Its growth was quick thereafter and within a year it stood more than 1100 feet high. It currently stands at 9186 feet and continued to erupt for eight years, with its last being during 1952. This is a dormant volcano and is the third highest peak in the country, at 17343 feet. The name of the volcano, translated from Nahuatl, means ‘white woman’. The legend around this volcano revolves around a beautiful princess who fell in love with a warrior. A short while after he was called to battle, she received a message that he had been killed. She was so distraught that she drank poison and died. The warrior eventually returned from battle without any wounds, only to find her dead. He lifter her and carried her body to the top of the peak where he laid her down and knelt down at her side. The legend states that he, Popocatépetl, remains in that position still. Volcanoes are interesting and exciting mountain peaks as they are so unpredictable. A visit to one of these peaks is always an adventure as you can look at it and imagine the havoc it must have created when it erupted. The surrounding area is usually interesting as volcanoes change the area around it. To ensure that you can enjoy your trip to these volcanoes, you should purchase Mexican auto insurance before you leave home. This will ensure that, should you be involved in an accident, you will be covered by your Mexican auto insurance and can travel with peace of mind and security.You can click here to purchase your Mexican auto insurance. Good for me, because I used my Mexican insurance when I got into accident trouble. I felt so cool when I saw something could take care of me—and that’s my Mexican auto insurance. The first thing to prepare before going to Mexico is to buy Mexico insurance. It’s easy to travel once you have it. This I did when I traveled in Mexico to visit Cuzama. Kids love fun and adults, too. Mexico is the prefect destination for a meaningful vacation and fun. If time permits, my entire family will be spending 3 nights and 2 nights just to wind-up and get a new place to relax. Mexico insurance will ensure you can drive freely around the region. In Mexico, it’s a different nature experience spending whole day for a volcano hiking tour. It’s the best way of escaping from the noisy lifestyle of the city. Get Mexican insurance for a happy journey. Just make sure that when driving, your car insurance is currently active. Mexican insurance is required when driving in Mexico roads and thoroughfares. 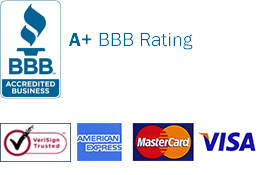 Keep in mind that it is essential to choose the best Mexican insurance policy. It is, after all, your defense in times of trouble while on the road. A valid driver’s license, even those who are 21 years old or older. Failure to meet this requirement can lead to the cancellation of your Mexican insurance. Mexico insurance for Scottsdale is of great value as it also includes emergency services like vehicle locked out, dead batteries, or mechanical issues.